A five-month-old baby girl is wowing the world as her adoptive par ents are sharing the story of how their Snowflake baby was a frozen embryo for 17 years before her birth. Elizabeth and Marty Wilson turned to Nightlight Christian Adoptions a few years ago after having difficulty conceiving again following the birth of their first child. 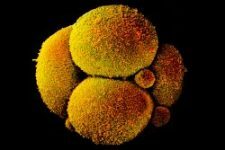 The organization, established in 1997, runs the “Snowflake Adoption Program” to provide a means for remaining embryos from IVF procedures to be utilized instead of destroyed. “Over 1,100 families have donated their remaining embryos through Snowflakes (sometimes referred to as leftover, excess, unused embryos)– allowing them to choose the family for their embryo gift,” Nighlight outlines on its website.